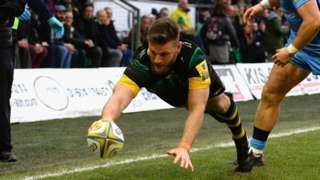 Northampton score three quick tries to turn around a half-time deficit to win 25-17 against London Irish, who look destined to be relegated. A musical featuring songs by Sting is due to come to Northampton. The Last Ship will play at the Royal & Derngate from April 24 to 28, and The Police singer attended the launch at the Errol Flynn Filmhouse today. He said the show is "about the town I was raised in" and was inspired by his 1991 album The Soul Cages. It tells the story of a community during the demise of the shipbuilding industry in Tyne and Wear. Sting said: "I was born within spitting distance of a shipyard where they built the biggest ships in the world. "The whole town was very proud of that fact and the shipyard closed down so the town was mortally wounded in a way." Murder-accused James Dodd messaged friends to say "my boys will stab them" after a fight. A43 Northamptonshire southbound severe disruption, between A5 and Brackley Road. A43 Northamptonshire - One lane closed and queuing traffic on A43 southbound in Towcester between the A5 junction and the Brackley Road junction. M1 Northamptonshire southbound severe accident, between J17 for M45 Dunchurch and J16 for A45. M1 Northamptonshire - One lane closed and very slow traffic on M1 southbound between J17, M45 (Dunchurch) and J16, A45 (Daventry), because of an accident. Conservative Jason Smithers won yesterday's Higham Ferrers by-election to became part of the "worst run" council in the country. 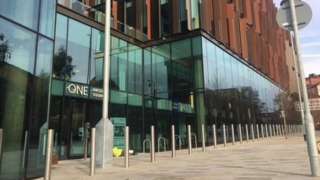 Kettering MP Philip Hollobone gave that description to Northamptonshire County Council after the authority was hit with a notice banning all new expenditure. One of Mr Smithers' first decisions will be whether to back his under fire leader Heather Smith - a statement signed by 21 of his new backbench colleagues recently called for the council to be run by government commissioners. Mr Smithers polled 1,414 of the 2,503 votes cast, with Labour's Gary Day finishing second with 557 votes. The turnout was 26.04%. 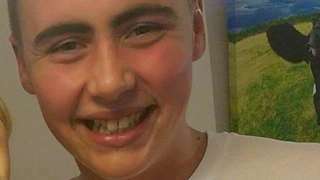 The seat was left vacant following the death of Glenn Harwood in November. M40 Oxfordshire northbound severe disruption, between J11 for A361 and J12 for B4451. M40 Oxfordshire - One lane closed on M40 northbound between J11, A361 (Banbury) and J12, B4451 (Gaydon), because of a lorry having a tyre changed. Traffic is coping well. M40 Oxfordshire - One lane closed on M40 northbound between J11, A361 (Banbury) and J12, B4451 (Gaydon), because of a broken down vehicle. Traffic is coping well. M1 Northamptonshire southbound severe disruption, at J18 for A5. M1 Northamptonshire - One lane blocked on M1 southbound at J18, A5 (Rugby), because of a broken down vehicle. 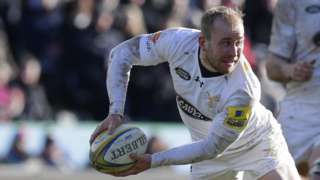 Saturday's action in the Premiership with Exeter, Bath, Gloucester and Harlequins all at home - listen to BBC local radio commentary. 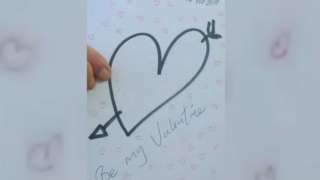 The PCSO made the 74-year-old man a cup of tea and a card for his wife. A14 Northamptonshire eastbound severe disruption, between J2 A508 Harborough Road and J3 A6. A14 Northamptonshire - One lane closed on A14 eastbound between J2, A508 (Kelmarsh) and J3, A6 (Desborough), because of a broken down vehicle. Traffic is coping well. M1 Northamptonshire northbound severe disruption, between J16 for A45 and J18 for A5. M1 Northamptonshire - M1 partially blocked northbound between J16, A45 (Daventry) and J18, A5 (Rugby), because of a broken down vehicle. Traffic is coping well. 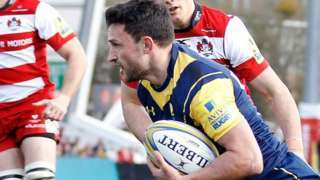 Listen to BBC local radio from three Premiership games - Worcester v Gloucester, Leicester v Harlequins and Northampton v London Irish & Championship commentary. Councils said in many cases they had additional income to cover the extra costs. M1 Leicestershire southbound severe disruption, between J19 for M6 and J18 for A5. M1 Leicestershire - One lane closed on M1 southbound between J19, M6 (Catthorpe Interchange) and J18, A5 (Rugby), because of a broken down vehicle. Traffic is coping well. M1 Northamptonshire - One lane closed on M1 southbound at J18, A5 (Rugby), because of a broken down vehicle. Traffic is coping well. It would cost the local authority more than £250m to immediately repay 19 'risky' LOBO loans. 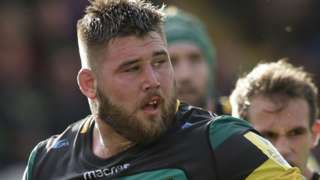 England prop Kieran Brookes will leave Premiership side Northampton Saints at the end of the season. Gillingham continue their excellent run of form with a fifth win in eight games as they beat Northampton at Sixfields.